Enriched with hyaluronic acid and Phytomoist Complex, NuFACE Hydrating Leave-On Gel Primer revitalizes and replenishes dry skin to ensure optimal microcurrent conductivity and treatment results. Use with your NuFACE microcurrent facial toning device and NuBODY microcurrent skin toning device, or alone as a hydrating treatment. The lightweight, velvety texture glides effortlessly across skin and absorbs easily after each microcurrent treatment to reveal a flawless finish. No need to remove this hydrating leave-on gel; simply massage in after your treatment or anytime your skin needs a moisture boost. Hyaluronic acid attracts and retains moisture for softer, glowing, younger-looking skin. It plays a key role in skin health with its unique ability to hold up to 1,000 times its weight in water. 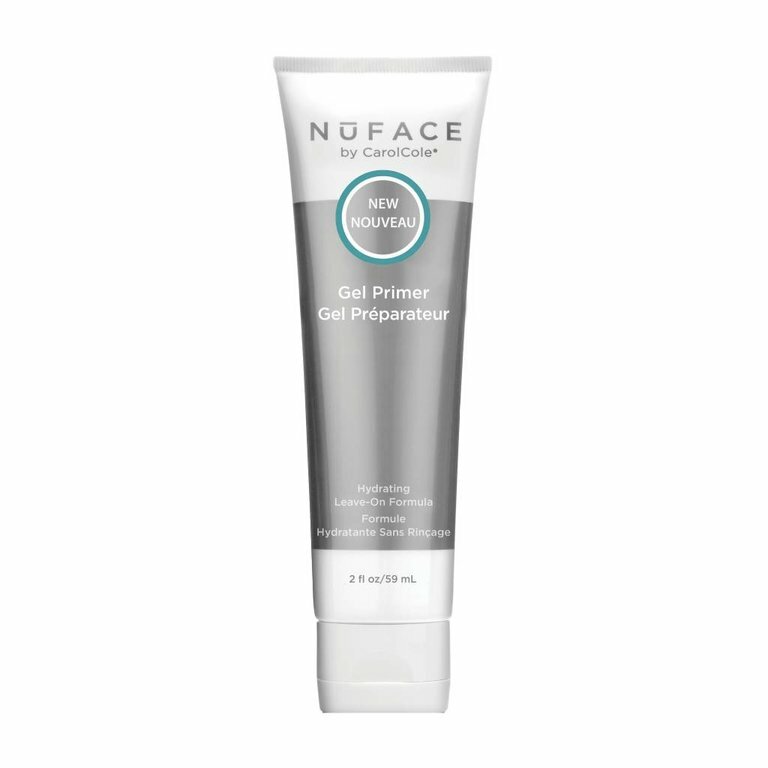 Apply the Gel Primer to your face before using the NuFACE® device. Reactivate the Gel Primer with more gel if gel begins to dry during your NuFACE® treatment. Remove gel with warm, damp washcloth then apply your preferred moisturizer to finish your anti-aging treatment.